Ridin' and rollin' on Dave's Custom Wheels. 155 reviewers on mtbr.com give Dave a 4.94 out of 5 rating. 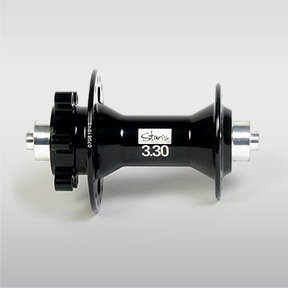 The Stan's 3.30 hubs are made by the same manufacturer as the Sun-Ringle "Dirty Flea", but are lighter. 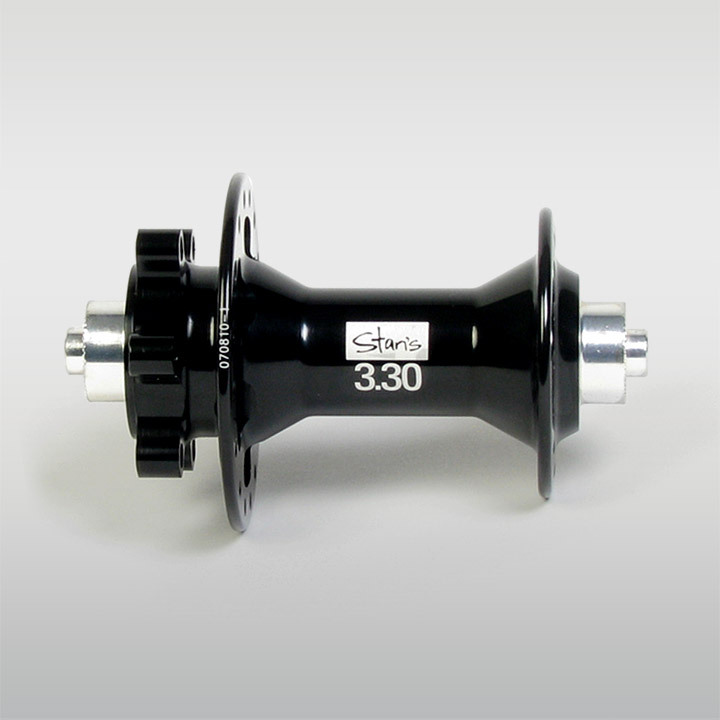 The hub-shells are forged and machined, and have a shiny black finish. The hubs have very precise machined tolerances, as evidenced by the smooth but tight feel of the bearings. Also, the conventional 3 pawl ratchet has a 30 tooth (12 degree) ring, which is neither quick or slow. 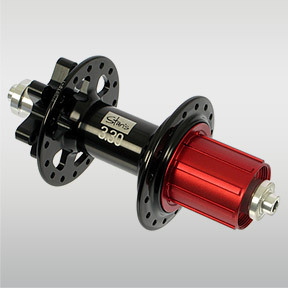 Due to the aluminum driver body and the size of bearings, the rear hub is not recommended for riders over 200 lbs. We do however, warranty the hubs for 2 years and 1 year for the bearings, which is double what the manufacturer features, and have experienced very few issues. 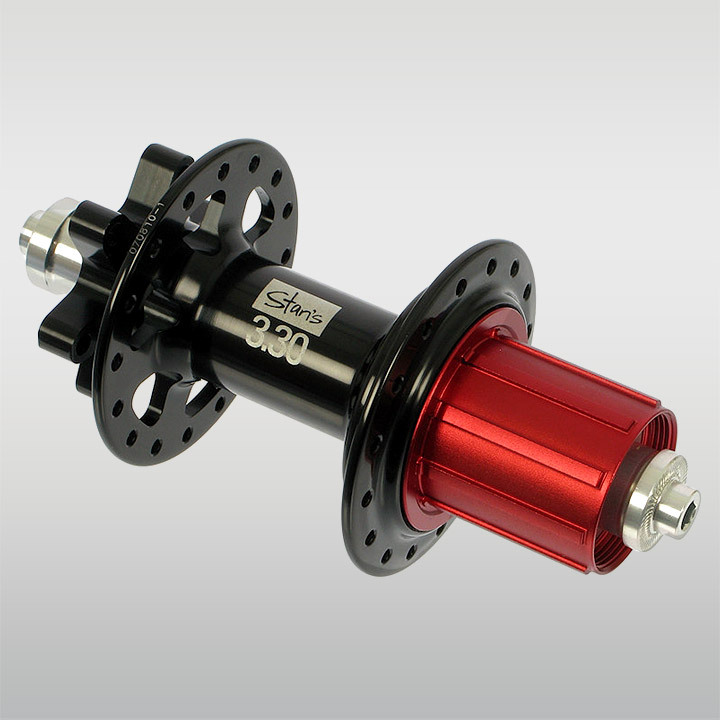 The hubs can be purchased, or retro fitted with most axle types, and are a lightweight bargain at the price.